If you are looking for a full-service lock and door company with the highest standards, you have come to the right place. 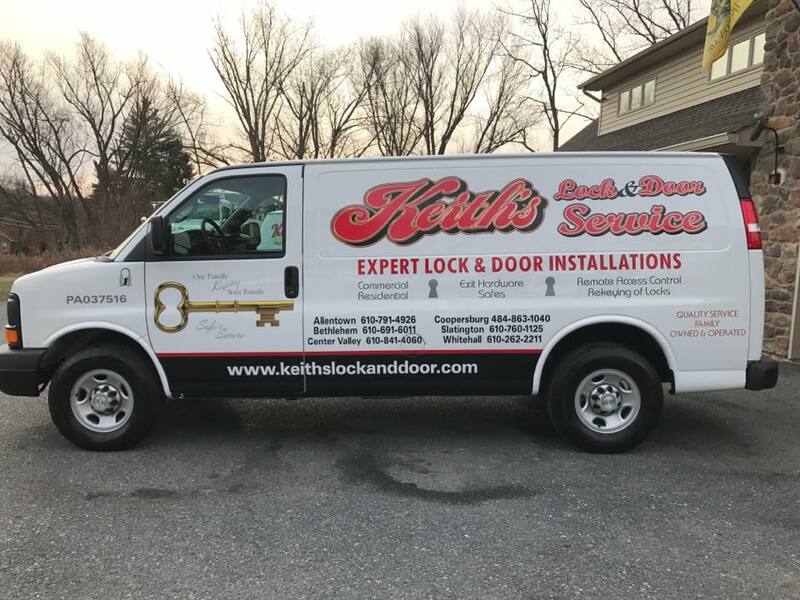 Keith’s Lock & Door Service, LLC is a family-owned and operated business with over 28 years experience meeting the needs of the Lehigh Valley and its surrounding areas. We use a variety of door and hardware manufacturers well-known in the industry including Norton, ASSA Abloy, Schlage, Arrow, Detex, Sargent, Cal-Royal and most manufacturers of interchangeable core systems. Curries, Steelcraft, DKS, Pioneer and Baron doors complement our ability to offer economical solutions to every customer. By using the absolute best, you can rest assured that your property is safe and secure when you choose us to install doors and locks for your home. It’s always better to be safe than sorry, which is why we install all lock systems that go above or beyond the highest standards. With the acceptance of the Angie’s List Super Service Award in 2013 through 2016, and an A+ rating with the Better Business Bureau, we ARE the best in customer satisfaction in the Lehigh Valley. Our enrollment in the Association of Locksmiths of America (ALOA), and National Fire Protection Association (NFPA) makes Keith’s Lock & Door Service your number one solution. By continuing our education of best practices and professional methods, we always strive to be the best locksmith, offering essential services with quality workmanship. If you have any questions, do not hesitate to contact us. We offer a complimentary walk-through and can address all of your door, locks and hardware needs. Our family is bonded and insured, and we feature prompt emergency service. Saturday and Sunday and After Hours Emergency Services available. Copyright Keith's Lock & Door Service | All Rights Reserved | This site designed and hosted by Enter.Net.